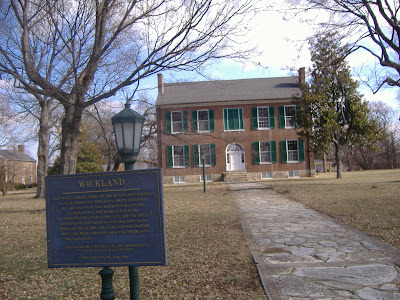 Ever been to Bardstown's historic Wickland house? Well, maybe tonight's the night you should check it out: A Visit With the Spirits of Wickland, billed as "a psychic tour of the 1826 Plantation house with a small group" is being held this very evening at 7:30pm sharp. Then again, apparently they do this every Friday. I'm not really sure what a psychic tour entails. Since it's implied - well, no, heck, it isn't implied, it's actually stated that you'll be visiting with spirits - is this going to be some sort of seance kinda thing? Or, like 1,001 lame TV programs with soulless scammers like Sylvia Browne, is the host going to close his/her eyes at some point and start channeling "Ozmo, the Fifth Ascended Celestial Angel Guide from the Great Magellanic Cloud"? I'd rather go back to 1942 and hang out with Madam Brent behind her beaded curtain and get some phrenology. It says on the Visit Bardstown site: "Take a 90 minute paranormal family-friendly tour which includes the opportunity to interact through a psychic medium and the friendly spirits who once lived there." Click through that link if you have a strong stomach for fried baloney and hogwash - it runs down a detailed list of the characters, with a highly detailed "backstory" for each of them. I don't know whether it makes me angry or just sad. Both, maybe? Ask yourself: if you had psychic abilities, would you use your God-given supernatural powers to help mankind, or would you host "ghost tours" of an allegedly haunted house in a small town in Kentucky for a $15 admission price? Say what you will about Edgar Cayce, but even if he was delusional, he at least loathed the idea of making money off his alleged psychic gifts. I'm not carping on this because I'm a skeptic - I'm carping on this because I know there are such things as ghosts and psychics and hauntings and channelled entities, and I don't like seeing them presented as goofy tourist attractions. I've had some "psychic" experiences myself, and you don't see me even talking about it, let alone hyping myself as a medium, let alone claiming it's something that can be repeated with guaranteed results, every Friday, week after week, year after year. Those who say don't know, and those who know don't say. Okay, okay, I hear ya, "Don't be so wedged, Jeff, it's just all in good fun", right? Fine. Go, have a great time, give yourself some spooky shivers, and tell 'em I sent you by. Reservations are required, so call 502-507-0808 to make yours. Also known as The James Pearce House, or the Pearce-Capito House, this is not only the oldest building in New Castle but specifically the first structure built there - circa 1790 or 1791. Mr. Pearce and his brother erected this home and settled here back when Kentucky was still part of Virginia. It originally was twice the size it is today, but a portion of the home in the rear deteriorated away long ago. It has something of a reputation for being haunted, with frightening sounds and moving objects reported by some who have stayed here over the years. However, much of New Castle in general has similar ghostly experiences, and I wouldn't be surprised if it's just something that comes with the land in general. Or perhaps it's all emanating from spirits who are displeased at how shoddily their cemetery has been treated. 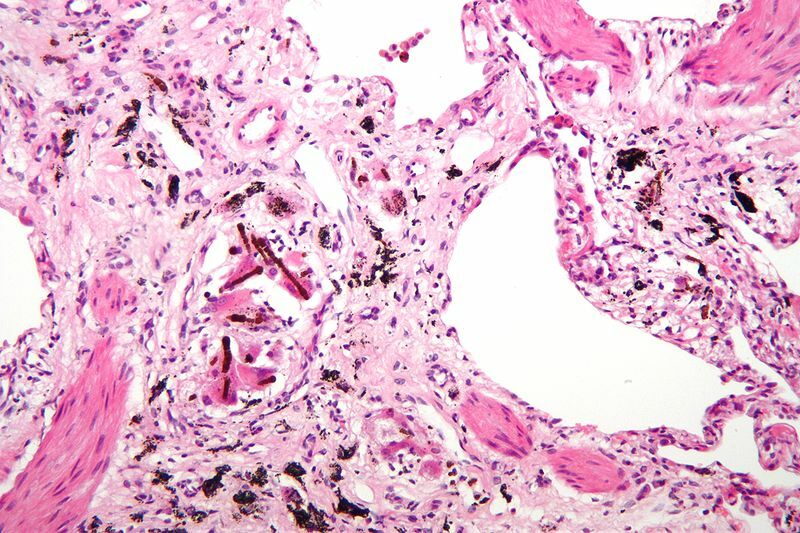 A man named Ronald Eugene Withrow, who was diagnosed with asbestosis on March 28, 2010, has filed a civil suit against 136 companies that he blames en masse for his diagnosis. That's according to the West Virginia Record legal journal, who says that Withrow - a resident of Ashland, KY - is claiming each of these 136 companies exposed him to asbestos and asbestos-containing products between 1954 and 1999. The defendants are being sued on "theories of negligence, contaminated buildings, breach of expressed/implied warranty, strict liability, intentional tort, conspiracy, misrepresentations and post-sale duty to warn", according to the journal. 3M Company; A.C.F. Industries, Inc.; A.K. Steel Corporation; A.W. Chesterton Company; Ajax Magnathermic Corporation; Aker Kvaerner, Inc.; American Crane and Equipment Corporation; American Electric Power; American Electric Power Service Corporation; Allegheny Energy Service Corporation; Allied Chemical Corporation; Amdura Corporation; Appalachian Power Company; Aristech Chemical Corporation; Ashland Oil, Inc.; Aurora Pump Company; Bay City Crane, Inc.; Borg-Warner Corporation; Brand Insulations, Inc.; Bucyrus International, Inc.; Buffalo Pumps, Inc.; Calgon Carbon Corporation; Cashco, Inc.; Caterpillar, Inc.; Certainteed Corporation; Chevron U.S.A., Inc.; Clark Equipment Company; Cleaver Brooks Company, Inc.; Columbus McKinnon Corporation; Copes-Vulcan, Inc.; Crane Company; Crown, Cork & Seal USA, Inc.; Dezurik, Inc.; Dow Chemical Company; Dravo Corporation; Durabla Manufacturing Company; Eaton Electrical Inc.; El DuPont de Nemours & Co.; Elliott Turbo Machinery Company, Inc.; Fairmont Supply Company; F.B. Wright Company; Flowserve US, Inc. as successor in interest to Bryon Jackson Pumps; Flowserve US, Inc. f/k/a Flowserve FSD Corporation f/k/a Durametallic Corp.; Flowserve US, Inc. f/k/a Durco International, Inc.; Ford Motor Company; Foseco, Inc.; Foster Wheeler Energy Corporation; General Electric Company, Inc.; General Refractories Company; Geo. V. Hamilton, Inc.; Georgia Pacific; the Gorman-Rupp Company; Goulds Pumps, Inc.; Grinnell Corporation; Honeywell International; Honeywell International, Inc.; Huntington Alloys Corporation; I.U. North America, Inc.; IMO Industries, Inc.; Industrial Holdings Corporation; Ingersoll-Rand Company; Insul Company, Inc.; ITT Corporation; I.U. North America, Inc. f/k/a the Gage Company; J.H. France Refractories; John Crane, Inc.; John Deere Company; Joy Technologies, Inc.; Kelsey-Hayes Company; Kentucky Power Company; KES Acquisition Company; Kramig Co.; Lawrence Pumps, Inc.; Lockheed Martin Corporation; Manitowoc Cranes, Inc.; McJunkin Corporation; Metropolitan Life Insurance Company; Milwaukee Valve Company, Inc.; Monongahela Power Company; Morgan Engineering Systems, Inc.; Mueller Steam Specialty; NACCO Materials Handling Group, Inc.; Nagle Pumps; Navistar, Inc.; NIBCO, Inc.; National Service Industries Venture, Inc.; Nitro Industrial Coverings, Inc.; Oakfabco, Inc.; Oglebay Norton Company; Ohio Power Company; Ohio Valley Insulating Company, Inc.; Ohio Valley Electric Corporation; Owens-Illinois, Inc.; P&H Mining Equipment, Inc. Peerless Pumps; Pneumo Abex Corporation; Premier Refractories, Inc.; Rapid American Corporation; Reading Crane; Rhone-Poulenc AG Company; Riley Power, Inc.; Rockwell Automation, Inc.; Ross Brothers Construction Co.; Rust Constructors, Inc.; Rust Engineering & Construction, Inc.; Rust International, Inc.; Schneider Electric USA, Inc.; State Electric Supply Company; Sterling Fluid Systems (USA); South Point Ethanol; Stockham Valves & Fittings; Superior Boiler Works, Inc.; Taco, Inc.; Tasco Insulations, Inc.; the Goodyear Tire & Rubber Co.; the F.D. Lawrence Electric Company; the Gage Company; Trecco Construction Services, Inc.; Thiem Corp.; UB West Virginia, Inc.; Union Carbide Chemical & Plastics Company; Uniroyal, Inc.; United Engineers and Contractors, Inc.; United Engineers & Constructors, Inc.; Viacom, Inc.; Vimasco Corporation; Warren Pumps, Inc.; Weil-McLain Company; West Virginia State Electric Supply; Westinghouse Air Brake Division of Trane U.S., Inc.; Westinghouse Air Brake and/or Wabco; Whiting Crane; Washington Group International; Yale Materials Handling Corporation; and Zurn Industries, Inc. This is an interesting concept: in preparation for Maya Angelou's upcoming appearance at Murray State University in August, Western Kentucky residents are being encouraged, en masse, to study up on her oeuvre before she gets here. The "Murray Reads Maya" program is being engineered by the good folks at murrayreads.org. Says their site: "The Murray Reads program is designed to bring in the entire community of Murray together through books. There will be different authors throughout the year that will be highlighted, so everyone in the program will read something by the same author." 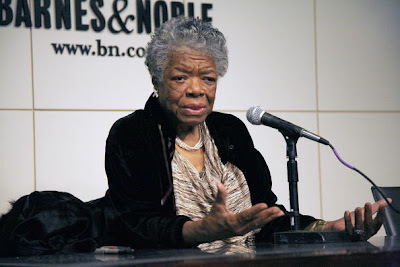 And the West Kentucky Star says: "Groups such as book clubs, cooking clubs, women’s clubs, children’s story times, elementary, middle school and high school classes, churches, and others are encouraged to use the website to be a part of the program and record which Angelou book they read." The Anchorage Trail, a beautiful park donated by John and Annette Schnatter, is one of my very favorite places to go on my early-morning coffee walks each day. I'm perpetually fascinated by this giant mosaic compass that can be found in the midst of it. 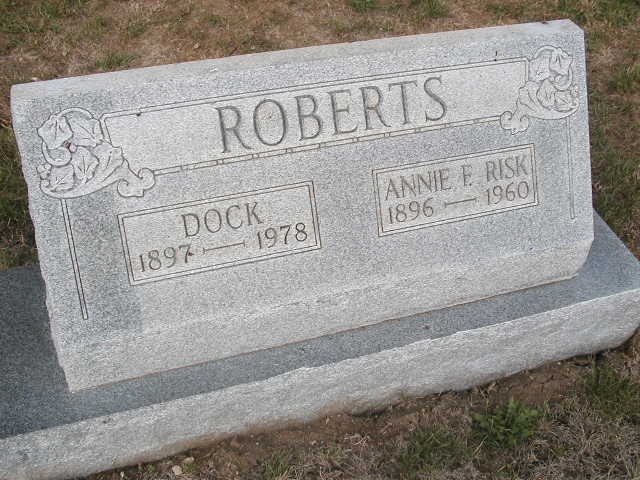 Fiddlin' Doc Roberts, Richmond Cemetery, Richmond, KY.
Asa Martin, Hargett First Church of God Cemetery, Hargett, KY.
Bill Monroe, Rosine Cemetery, Rosine, KY.
Armour Cornelison, Jr., Richmond Cemetery, Richmond, KY. 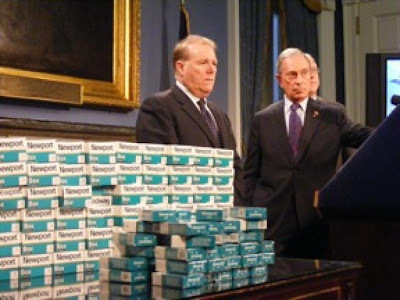 This morning's Wall Street Journal has an article about how NYC's Mayor Bloomberg has filed a federal lawsuit against "a Kentucky-based ring of firms" that have allegedly been selling cigarettes in New York City illegally. How does that work? Well, it's complicated. You can read the WSJ article yourself, and I urge you read other sources on this matter as well, but the bottom line is this: the taxation of cigarettes is essentially a scam (like most taxes). 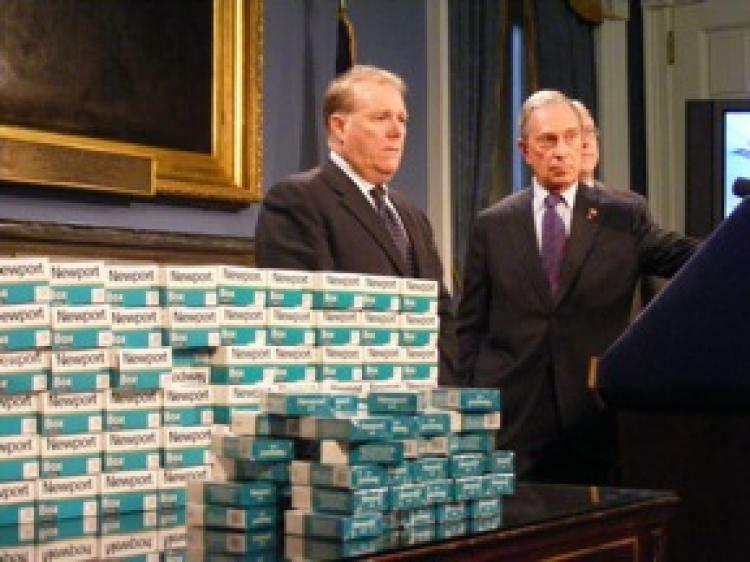 And when it came to the attention of Mr. Bloomberg that someone was selling cigs and not bothering to mess with his insane and unfair bureaucracy, well, of course he's foaming at the mouth. Just as any other mobster would when they found out someone that ain't got ethics was chiselin' in on their fix, see. If I own a hammer - if I really own it - it's mine and I can do whatever I want with it, including sell it to you at a yard sale. If you own a pack of cigarettes, theoretically it's just as much your property as your hammer. By what right does some old man behind a desk call the cops and call you a "smuggler" if you sell your pack of cigarettes to some housewife in Forest Hills? Especially when that old man is a billionaire many times over already. Of course, they say "well, governments must tax things, to pay for important things like roads and schools". That's the same line they used when America invaded the Phillipines in 1899 and forced our ways upon their society. And all this unfair taxation (didn't we start this country in order to get away from this in the first place?) is really paying for all sorts of pork-barrel-project garbage that the public didn't ask for, didn't want, and can't do anything about. Just like in the Phillipines. Having said all that, the WSJ lists the Louisville-based "Chavez, Inc." as a primary defendant in the investigation, and they have something of a bad reputation, although that means nothing to me. I don't necessarily believe everything I read on the internet, not even my own blog. According to WFPL, Chavez Inc. was raided by federal agents in late 2009 and all of their assets were seized, and the U.S. Attorney’s Office in the Western District of Kentucky has an ongoing civil lawsuit against them. The report also says, "Lawyers for Chavez have said the company was not legally obligated to collect taxes on out-of-state sales." Chazez, Inc. has also been in trouble with the FDA for allegedly flouting Obama's reprehensible ban on flavored cigarettes, which instantly left tobacco stores across the nation stuck with product they could no longer sell, including clove cigarettes. I don't know anything about these Chavez folks - I just read the papers and the internet same as you - but it certainly seems as if much of their activities fall under that growing group of citizens whose activities were once perfectly legal and they were made into criminals overnight by the stroke of some corrupt politician's pen. Sick sad world. Just sat down at my desk, Starbucks in hand, feeling good and radiating cheerfulness about mankind on this shiny happy sunny day. And then I find this crazy story from the Lexington Herald-Leader being retweeted by our friend Peter at The Kaintuckeean. 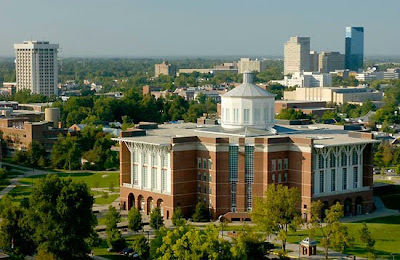 Apparently a man is going around the University of Kentucky's W.T. Young Library puncturing people's feet for reasons I can't even begin to speculate on. "At about 6:15 p.m., a man crawled under a study desk and used an object to puncture someone's foot, police said. The man was described as white, between 5 feet, eight inches and 6 feet tall, with short hair, possibly a buzz cut. He wore a hat and bright orange shorts or shoes. He was last seen walking toward the vending machines in the basement of the library. UK police later learned of a second, similar assault; this led police to seek the public's help in locating possible suspects. 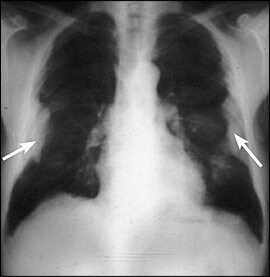 The second incident took place on the same day, at the same location." Having been a UK student myself, and having worked for years at their radio station WRFL-FM as music director and late-night jazz DJ, I can tell you that there are way too many weirdos and psychos wandering around campus; people who are not students and have no business being there. I remember once having to run over to WRFL in the middle of the night to defuse a scene with a drunken Henry Earl pounding on the radio station door incessantly with all his might, and angrily ranting like a madman. The DJ doing the overnight shift was the only person in the station and she was terrified, not knowing that Henry was (mostly) harmless. When I got there and inquired what the hell he was doing, his response was "I need a cigarette." Short of turning UK's campus into a total police state, though, I'm not sure how one goes about keeping the crazies out. Last night's storm (it's still last night to me even though this post is dated Thursday because I'm typing it at just a few minutes after midnight, see) was something, wasn't it? Me and Krampus were holed up here on the old JSH Plantation, listening to the hurricane-force winds and emergency sirens, getting ready to take shelter in the center of the house if need be. I spent a couple hours bouncing public and private messages back and forth on Twitter with various peeps-o-mine, which kept my mind occupied until the storm abated enough that I finally fell asleep around 3am. This morning (Wednesday morning) when I got up, I found that Anchorage had become a landscape of devastated trees - including one that fell on my car and gave it some minor dents and scuffs. Could have been a lot worse, it's obvious to see. Additionally, the creek is now swollen so far over its banks that vast areas of the nearby park are totally flooded. Between the fallen trees and flood waters, some of the trails are completely impassable now. I love these old "Whiskey by the Drink" signs, from those bygone Don Draper days when women and television sets wore bunny ears. This one was sighted in Butchertown, at the corner of Mellwood and Brownsboro where it becomes Story Avenue. 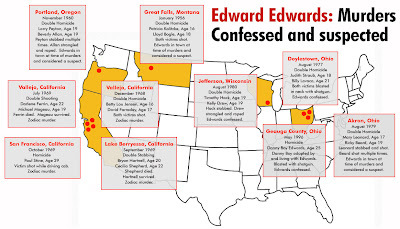 The Louisville con man and serial killer Edward W. Edwards is dead. 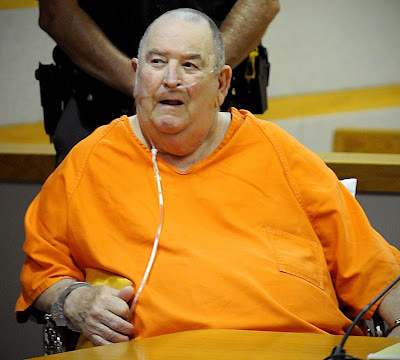 He passed away in prison in Columbus, Ohio two weeks ago and I somehow just now heard about it. 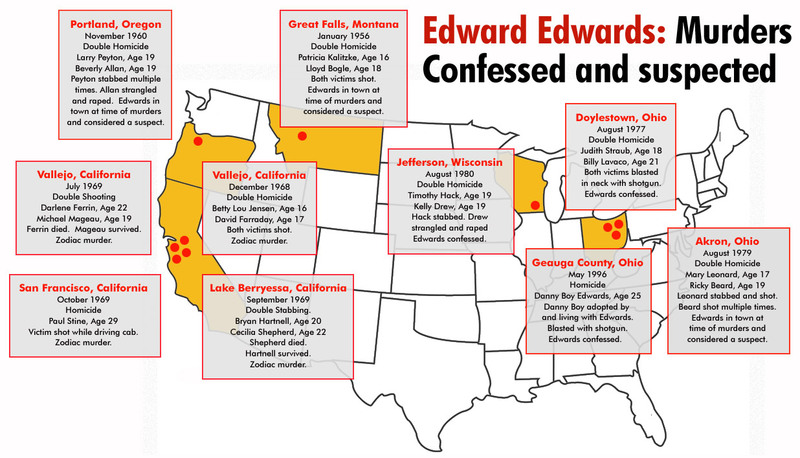 Edwards reportedly died of natural causes, not "prison justice", and it couldn't happen to a more deserving person, but nonetheless I wish he'd lived awhile longer so that police might have more opportunities to elicit more confessions out of his bloated hide. Phil Stanford, in his great book The Peyton-Allan Files, speculates on the possible cold case files still languishing out there that might be Ed's work. The tallest building in Kentucky is Louisville's AEGON Center, designed by Philip Johnson and John Burgee, the architects who brought the world the Puerto de Europa, the PPG Place in Pittsburgh, the Crystal Cathedral of Garden Grove, and the infamous Lipstick Building at NYC's even more infamous corner of 53rd and 3rd. According to Wikipedia, "the building is constructed of reinforced concrete, as opposed to the steel construction usual for buildings of its height." Interesting. You may make of that what you will. It was completed in 1993, and has held up just fine since then. 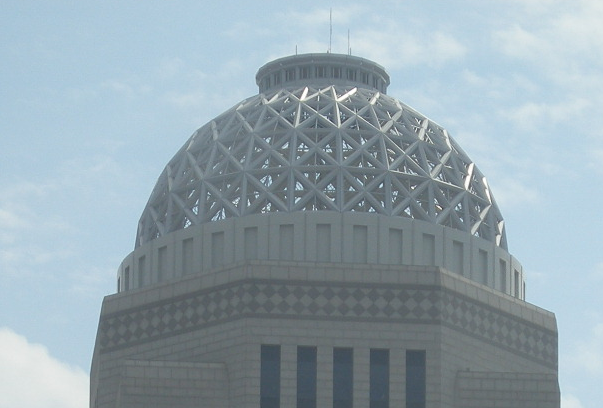 Although you can't see it in the close-up photo above, there is a way to get the absolute top of the building by way of a secured ladder-tower leading from the center of the dome's interior, going up to the pinnacle. There's a photograph of it here on the official U.S. Coast Guard flickr site. I'd love to get up there and take some photos myself. After recently having written about the Hobbs Chapel Facade only to learn that there's a cemetery hidden in the woods behind it, I just had to trudge back there again and see it for myself. 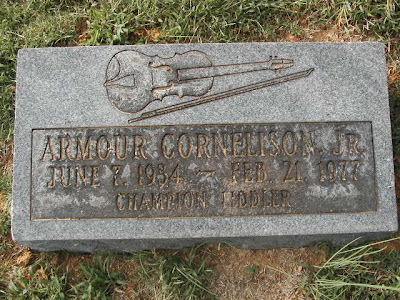 As cemeteries go, this one's in really good shape now, though from what I've read online, such wasn't always the case. There's evidence that vandals and losers have made a mess of the place in years past, judging by the headstones that are cracked and seemingly have been cemented back together again. There's also a bunch of broken headstone fragments - many of them quite old - laying in a pile. Apparently no one knows where they go or what to do with them. There are many interesting markers out here. 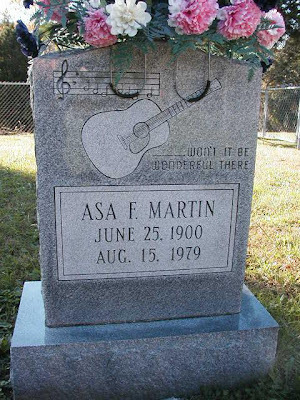 I especially enjoy stones that tell a little about the person. Here we have the eye-catchingly arabesque design for Ludwell Dangerfield, who died at the Battle of Chaplin Hills, KY at the age of 20 on October 8, 1862. Then there's William Wade Marshall, born at Marshall's Corners, Pennsylvania in 1837 and died here in Anchorage in 1870. The grave of Samuel Nock doesn't tell us where he died but does mention he was born in Nova Scotia. I saw this stunning gravestone with a statue of a racehorse and jockey in the Rose Crest Cemetery, Versailles. At first I assumed that the gentleman must have been involved in horse racing himself, but I found his obituary online and that's seemingly not the case. Apparently he just loved horses, which is one of the best things that can be said about any man. Spotted in the Rose Crest Cemetery on the outskirts of Versailles, this is the first Masonic grave wreath I can recall having ever seen. Back in my roving antique-dealer days of the late 80s/early 90s, I came into possession of this highly important looking ribbon medal, bearing the words "Royal Arcanum, Richmond, KY, Inst. June 5, 1903." In those pre-internet days, I was stumped as to who or what the Royal Arcanum were, but I had high hopes of it being some sort of occult secret society who perhaps conducted their clandestine meetings in an isolated field somewhere East of Redhouse, or perhaps in a room accesible only by a secret panel above Jett & Hall Shoes. Who knows what their arcane rites might involve, I mused to myself - perhaps they were an offshoot of the Knights Templar or the O.T.O. or the Brotherhood of Saturn or the Hermetic Order of the Golden Dawn or the Thule Society or Ordo A∴A∴ or the Hibernians or the Loyal Order of Moose or the Knights of the Golden Eagle or Aurum Solis or the Bohemian Club or the Council of Nine or the JASON Society or the Cult of the Serpent or the Vril Society or the International Order of Oddfellows or the Concatenated Order of Hoo-Hoo or the Rosicrucians or DeMolay or the Lions Club or the Shriners or the Elks Lodge or the Rotary Club or WISE or the Ruritans or Kiwanis. Flash ahead to 1998, during my non-roving married-man days, when I put it up on eBay for a reasonable price (I don't recall exactly - probably $9.99) and no one bit. I also did a Yahoo search back then (remember those pre-Google days when Yahoo and AltaVista were the only major search engines?) for the Royal Arcanum and found nothing. Deciding that this must not be as exciting a find as I had hoped, I stuck it away somewhere and didn't think about it again for 13 years. Now I've stumbled onto it again while rummaging through boxes of junk in storage, and now that we're in a Burroughsian future where everything is online, a quick Googling determined that the Royal Arcanum is still around today and is in the "fraternal life insurance business" and is not all that terribly interesting. At least not compared to, you know, the Illuminati, the Bilderbergers or the Priory of Sion. Nevertheless, they sure had a cool ribbon back in the day when we Richmonders, along with the rest of the civilized world, understood the importance of pomp and ceremony. Not to mention the true meaning of membership in a true group. 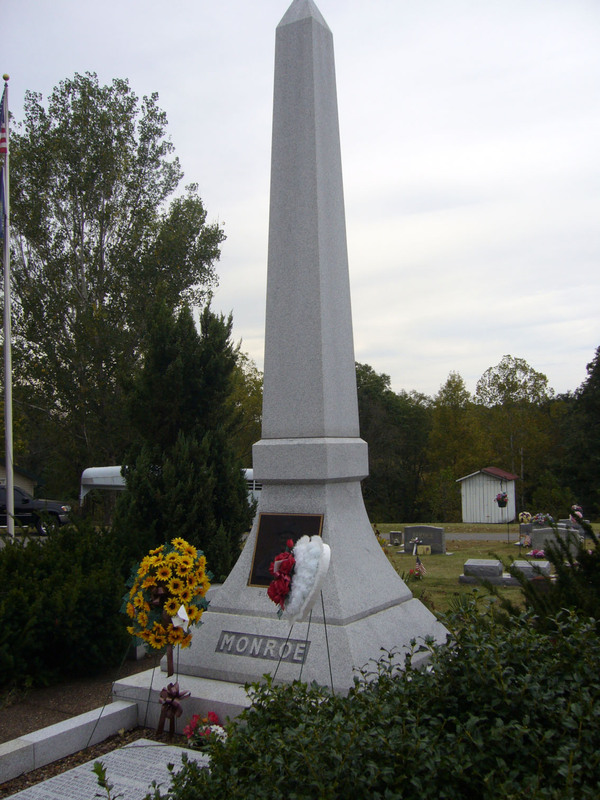 Long Run Cemetery is home to some of the most tangential bits of Abraham Lincoln history I've ever seen. Lincolnphiles, pack a lunch and make the trip: this land, which includes the demolished remains of the original Long Run Baptist Church, was where the original boyhood home of Abe's father (Thomas Lincoln) once stood. Thomas isn't here, alas - he's buried in Illinois - but we do get Abe's grandfather, and we also get Benjamin Bridges, the man to whom Abe's uncle Mordecai sold the family farm. We also get "The Lincoln Tree", which a helpful sign says was grown from an acorn that came from a tree that Abe stood under while giving a speech in Albion, Illinois. Hmmm. Alrighty then. That's stretching the Lincoln connection just a bit if you ask me; it's kinda like that guy a few years ago who held an exhibition of napkins, silverware and water glasses used by celebrities and obtained from restaurant busboys. I'm not sure why these signs all say "Historic Middletown, Inc." because Long Run is quite a distance from Middletown.